Today's card was inspired by a couple of things I saw on Pinterest (here and here). I've been really into using embossing lately, and this card fed into that. 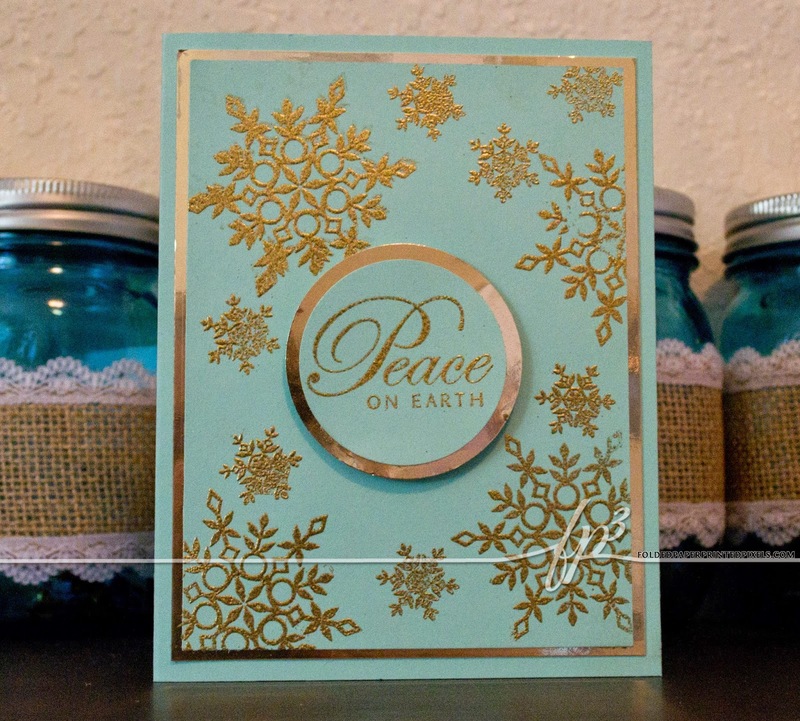 I used gold mirror paper and aqua cardstock to create the card. The snowflakes are from the Simon Says Stamp Holiday Envelope Sentiments stamp set. My sentiment came from a Stampin' Up Greetings of the Season set (unable to find in their store anymore). 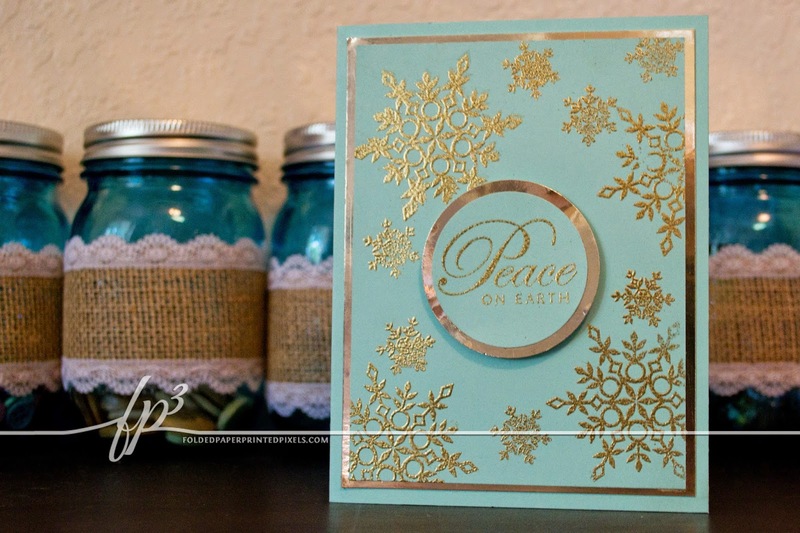 I embossed all using Versamark and a gold detail embossing powder. 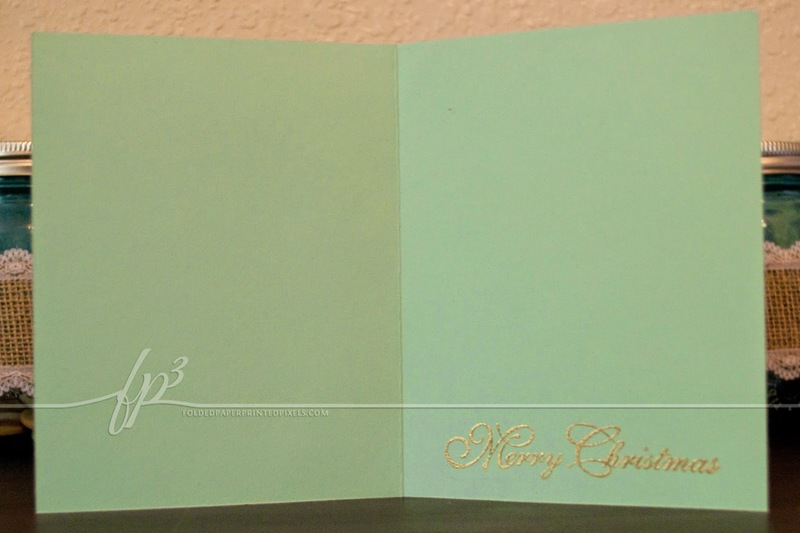 The inside of the card is about as simple as you can get - I embossed another of the sentiments from the SU set. the card looks awesome. The heat embossed snowflakes are gorgeous! Simply beautiful. Very elegant. Thanks for joining us at Inspiration Destination. Hope to see you again and good luck! The gold embossing looks really lush Sara and nice touch with the gold carried through to the insert. baeutiful embossing on the snowflakes. 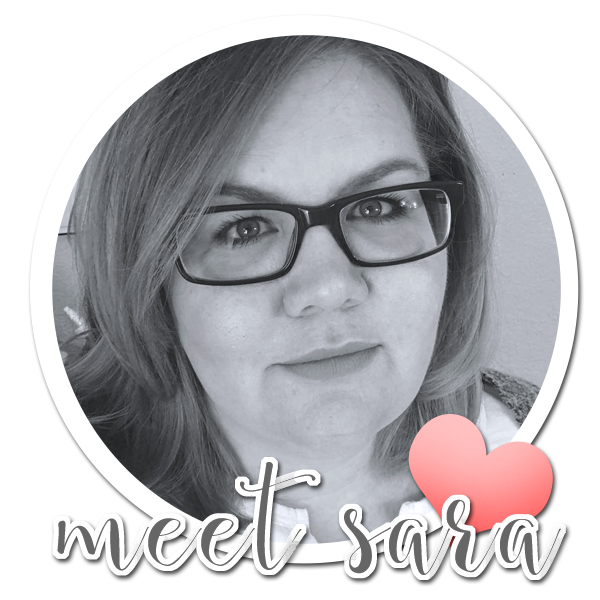 Beautifully elegant, Sara! 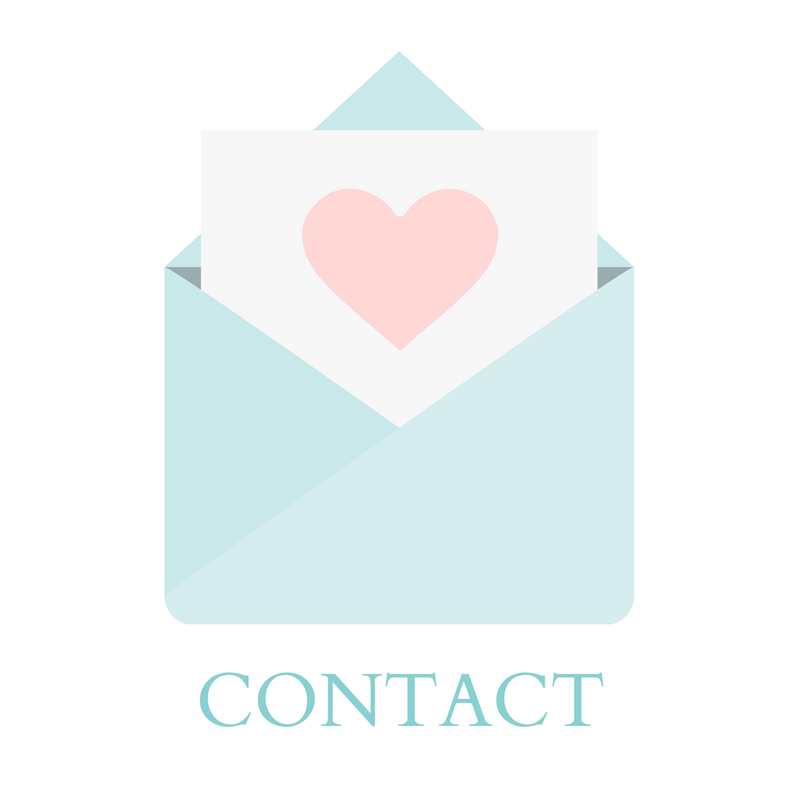 Love your pale blue and gold color combo. Thanks so much for honoring us with your lovely entry in our Anything Goes challenge at Through the Craft Room Door this week. Hope to see you again soon and good luck in the draw.